Recently, the Center for Regenerative Medicine Biotrust held an open house. In the video below, Dennis Wigle, M.D., Medical Director, Center for Regenerative Medicine Biotrust; Mindy Rice, Research Operations Manager, Center for Regenerative Medicine and Zachary Resch, Ph.D., Program Manager, Center for Regenerative Medicine Biotrust talk about this key component of regenerative medicine at Mayo Clinic. Located on the Rochester, Minnesota campus, the Biotrust facilitates the collection, processing, manipulation, storage and distribution of human biospecimen samples, such as tissue or cells. 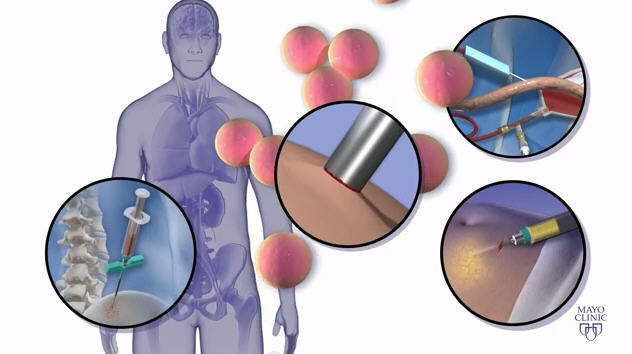 These samples create a library of material available to all Mayo Clinic investigators for use in the development of new regenerative medicine treatments and technologies.